Like the more recent film “American Beauty,” this patriotic art film from Edison Studios takes advantage of the fact that one of the lovelier varieties of rose is called an “American Beauty.” Ironically, this rose was originally bred in France, but wound up usurped by its American popularity which sort of reminds me of film history itself. 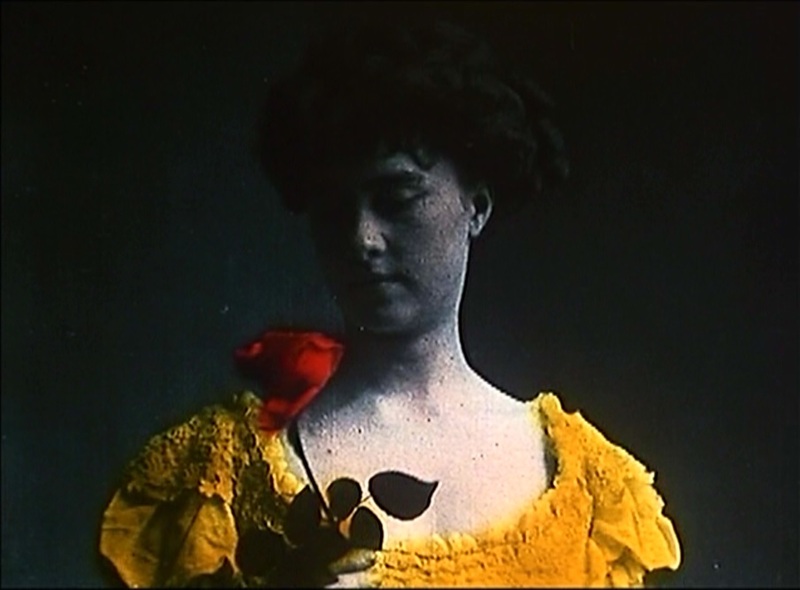 The movie consists of three hand-tinted images. First, a rose, second, a young woman, and third, a flag. At the end of the movie, the flag is replaced with a field of stars. The images are connected by means of fades, something that was still quite exciting in 1906. Still, the movie is quite short, and I wonder if it wasn’t shown repeatedly, to get the point across. Perhaps the pianist could accompany with the National Anthem or another patriotic song and get the audience to stand up during the screening.